James was the brother of Martin and Henry Thornton. 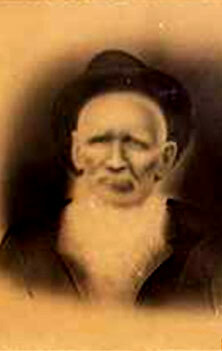 James Monroe Thornton enlisted in the First Alabama Cavalry when he was 38 years old. He enrolled at Glendale, MS (near Corinth) at the same time as his brother Henry. James, a farmer from Fayette County, AL, left behind his second wife, Nancy Jane Lay Thornton, and their two eldest children, William Walter and Alice Rhoda Thornton. James' first wife, Lucinda Aldridge Thornton, died in childbirth in 1855, and their surviving child, Andrew Caiphas Thornton, was reared by Aldridge grandparents in Fayette County, AL. James Monroe Thornton was discharged from the First Alabama Cavalry in Memphis on December 22, 1863. James returned to Fayette County where he and his family continued to live until about 1875. Around 1880, they resided near or at Allen's Factory, Marion County, AL but by 1882, they were living near Russellville, Franklin County, AL. About 1905, he and Nancy moved to Monroe County, MS, living at RFD # 3, Quincy, which was in Weaver's Creek Bottom near Splunge. After the war, several other children were born to James and Nancy: John Sherman Thornton in 1865; Thomas Richard "Bud" Thornton in 1866; Bashby Thornton about 1870; Emma Thornton in 1872; and James Thornton in 1876. When James was about 80 years old, he and Nancy moved into the house with one of his sons, Bud Thornton and wife Harriett Lowe Thornton, in Monroe County. James received a military pension from the government for his service in the Civil War: in the 1890s, he received $12.00 per month; by 1907, the amount was $20.00 per month; and in 1913, James' pension amount was raised to $22.50 per month. In August 1913, James died. His accrued pension was payable to his widow, Nancy Jane Lay Thornton, at the rate of $12.00 per month. Nancy died in 1918 and is buried beside James at Lann Cemetery. Picture submitted by Carl Monroe Thornton.